Property management and property investing have been getting quite a lot of attention in the past few years. With the housing crisis that began in 2007 many homeowners were forced to sell their homes or homes were foreclosed. Foreclosed homes often sold for far less that they normally would have. This allowed banks to recoup the value of the property and satisfy the loan that they had given the buyer. In all of this emerged a group of property investors that is now stronger than ever since the market is gaining momentum. However some of these investors gained a great deal of low-priced property during the downturn and have been leasing it for a great monthly profit. With all of this comes the need for property management. If you own a piece of property with a home it will inevitably need upkeep. If it sits empty someone will have to mow the lawn and perform basic maintenance tasks to prevent a loss of value or damages. Other concerns such as property tax and homeowners insurance should be addressed as well. Property taxes will be a yearly requirement for property owners and may be required in either county or city levels. 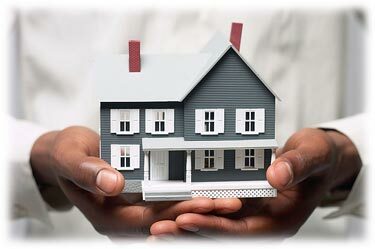 Property or homeowners insurance is also very important to protect your property from unforeseen events such as fire, floods, storm damage, etc… This can be setup in several different ways so it’s best to consult a local insurance agent for more information about plans or policies for your property. A property investor does not want their property to sit empty. Rent from your property will provide a steady stream of income for you and your family. This is a passive return on the investment that you’ve made. Most property owners will need to advertise with local sources or on the internet to find someone to lease their property. Then there is the problem of liability for damages, unsuitable renters, and late rent. So this area of property management may be quite off putting to investors, but it doesn’t have to be. At Turnkey Rentals we make property management so easy that investors don’t have to do a thing except watch for their check to arrive. When an investor comes to us we help them find the best properties at the best values to purchase without aggressive sales tactics. Once the property has been purchased we will take care of all of the rehab needs and be sure that work is done to the highest of standards. So when the property is ready we can lease it as soon as we find suitable tenants for you. You can live in a different state and trust that your rental is generating wealth. We understand that our investors have other commitments and that their time is valuable. If you’ve been thinking of property investment get in touch with our friendly agents to see how our hands off property management approach can make all the difference in your investment. Email info@turnkeyrental.net for more information.